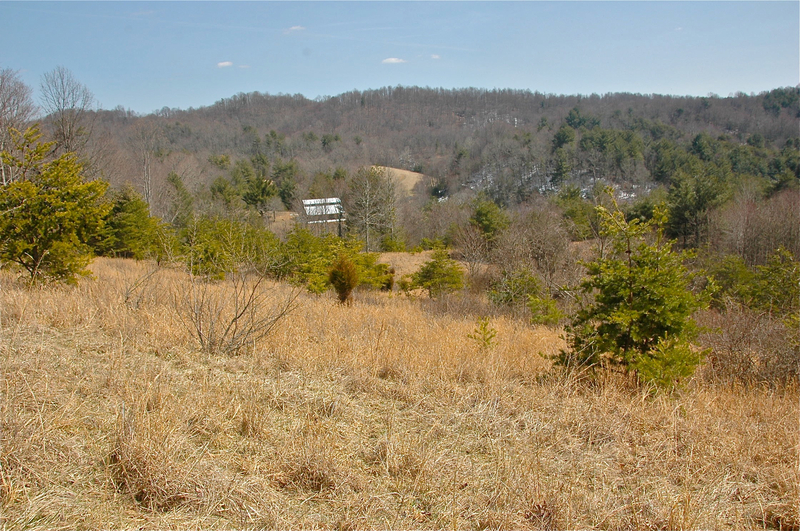 Our overgrown north pasture (looking southeast) before hand land clearing work began-April 2013. In the background is the horsebarn. Our dairybarn site is to the extreme right of the photo.